This– THIS LINK— could have sent me to jail. Another link came very, very close to sending Barrett Brown to jail. Brown was just sentenced to five years in jail on other charges that the government could make stick, in another step towards the criminalization of everything. Brown, pictured, 33-years-old, was arrested in 2012 after his and his mothers’ homes were raided and he used “threatening” language toward FBI officers in a response posted to YouTube. He was subsequently accused of working with hackers, whose efforts yielded a huge tranche of embarrassing and revealing information concerning misbehavior and sleaze at U.S. government contractors, primarily Stratfor. The charges against Brown included the claim that merely linking to the leaked information was illegal, an alleged crime for which prosecutors sought decades in prison. Brown ultimately signed a plea deal on three lesser charges: transmitting a threat (the YouTube video), trying to hide a laptop computer during a raid, and to being “accessory after the fact in the unauthorized access to a protected computer.” He spent a year awaiting trial in federal prison, and was subject to a six-month gag order prohibiting him from even discussing his case with the media. 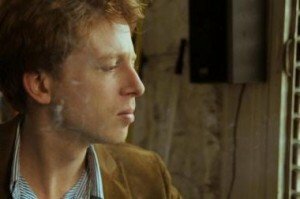 On January 22, a Dallas court sentenced Barrett Brown to 63 months in federal prison, minus time already served. He was also ordered to pay $890,000 in restitution to the Stratfor Corporation. 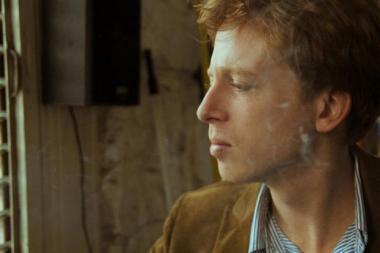 Barrett Brown is an internet guy. He may or may not have been involved with web naughty boys Anonymous (he denies the association) and most certainly was deeply involved with broad free speech issues online. In 2011, Brown posted a link in a chatroom, pointing to data that was obtained during the late-2011 hack of Stratfor Global Intelligence. The link pointed to documents on the Wikileaks site. The docs are still there. The government arrested Brown and charged him with a number of offenses, the most significant of which was for posting that link. The link, the government contended, exposed enormous amounts of credit card information, a crime. Not mentioned by the government, the link also documented discussions of assassination, rendition and how to undermine journalists and foreign governments, plus the social media stuff mentioned above. Prior to Brown pleading guilty to the three lesser counts he was sentenced for January 22, the government dropped the other charges related to linking as a crime. Though the government in its Motion to Dismiss gave no reasons for its decision, the implication is that while they were clearly looking to set a precendent on the Brown case, they did not want that precedent to be a loss. Better to let a small fry like Brown swim away than risk the greater goal. What kind of test case? Having failed to find any legal or otherwise effective way to deal with sites like Wikileaks, or the publication of classified materials elsewhere on the Internet such as the Snowden documents, the government is taking a side-step in seeking to punish those that use, view or handle the material itself. For example, when the Wikileaks information first started pouring out across the web, most government agencies blocked access to the data via their firewalls, claiming the content was still classified and thus could not be viewed on a government computer even while it could be viewed on any other web-connected computer from Cleveland to Karachi. Similar blocks have been put in place to prevent much of the Snowden material from being viewed at various work sites. In 2010 the Department of State suspended the Top Secret security clearance I had held without incident or question for over twenty years because I linked to a supposedly classified document on the Wikileaks site from my blog. State referred my linkage to the Department of Justice for prosecution in fall 2010. When Justice declined without reason to pursue the case, State took the non-judicial action of “temporarily” suspending my security clearance indefinitely, because of the link. State claimed that via that link I revealed classified information publicly, a major no-no for cleared personnel and sought to fire me. As in the Brown case, in the end State choose not to pursue charges, again without comment. I was defended by several excellent lawyers, and retired from State on my own terms, including no gag orders. There may be other such link cases out there that we do not yet know of. They may be classified, or the parties involved may be under gag orders, as was Brown. So while we still can, better hit these links: Wikileaks, Cryptome, some Snowden. Who could have guessed that in 2015 a click of the mouse would be a subversive act? Thanks to the following outlets for publishing excerpts from my book this week!